The silver cloud (of peace) has a dark lining (the TPLF). On 5 June, Ethiopian Prime Minister Dr. Abiy Amhed (41) announced that Ethiopia was ready to abide by the Algiers Declaration, accept the Eritrea-Ethiopia Boundary Commission ruling of 2002, and withdraw from disputed territories pursuant of peace. Since then, progress has been rapid. Tuesday 26 June, an Eritrean delegation arrived in Addis Ababa for a three-day official visit. It was the first high level meeting between the states since diplomatic relations were broken off in 1998, and it was a sensational success. 8 July: Ethiopian Prime Minister Dr. Abiy Ahmed visits Asmara, Eritrea. Asmara – the first in 20 years. 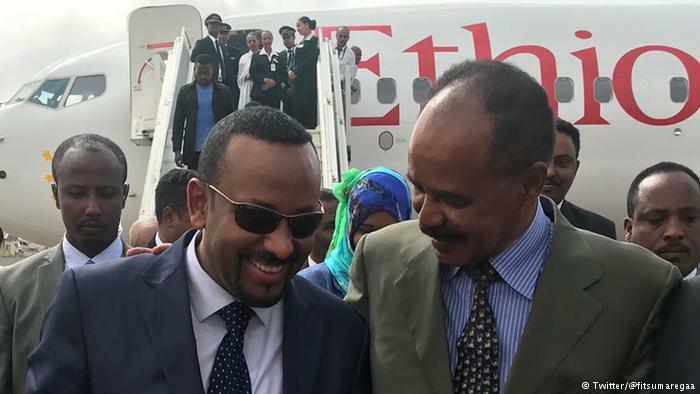 The plane was carrying Ethiopian Prime Minister, Dr Abiy Ahmed, who was met at the airport by Eritrean President, Isaias Afwerki. It was the first time the leaders of Ethiopia and Eritrea had met in more than 20 years. On Monday 9 July, Prime Minister Abiy and President Afwerki held a historic bilateral summit in which they signed a “declaration of peace and friendship” and declared the “state of war” over. On the eve of the 1998-2000 Ethiopia-Eritrea war, the Ethiopian government expelled more than 70,000 Eritreans from Ethiopian territory while Eritrea likewise expelled thousands of Ethiopians from its territory. The expulsions resulted in lives being turned upside down and families being torn apart. The pain of separation was cruelly compounded by the severing of, not merely all transport and trade links, but all telecommunication and postal services as well. Consequently, on Tuesday 10 July 2018 when telephone services between the two states were restored, the lines lit up. Telephone lines dormant for decades buzzed excitedly as loved ones long-separated established contact for the first time in 20 years. Others excitedly made random calls, just to chat with a stranger on the other side of the border. “A visibly moved Abiy on Saturday [14 July] praised Ethiopians for their warm welcome of the Eritrean president with chants of ‘Isaias! Isaias!’ and flag-waving. ‘I’m very emotional right now,’ Abiy told a luncheon at the National Palace. in Addis Ababa, 16 July 2018. Closed since 1998, the Eritrean Embassy in Addis Ababa remained like a time capsule "frozen in time" collecting dusk for 20 years [BBC images]. However, at a special ceremony on Monday 16 July the embassy was inaugurated. 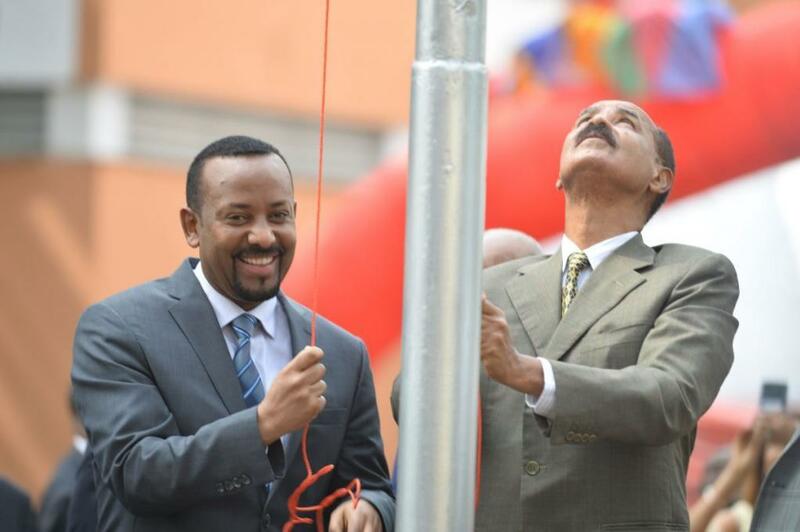 PM Abiy handed the keys to President Afwerki and together the two leaders raised the Eritrean flag. After inaugurating the embassy, President Afwerki left Addis Ababa to return to Asmara; he was seen off by Prime Minister Abiy Ahmed. On Wednesday 18 July, 465 Ethiopians travelled to Asmara on the first commercial flight between Ethiopia and Eritrea in 20 years. 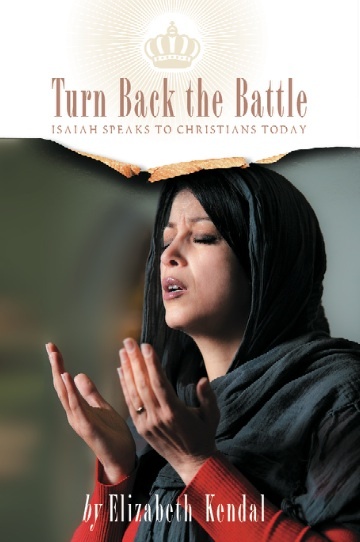 While the flight did carry some dignitaries – including former Prime Minister Hailemariam Desalegne and Ethiopian Orthodox Church Patriarch Abune Mathias – the passengers were mostly people separated from their families by the war. With tickets selling out in less than one hour, a second flight was scheduled for 15-minutes later. “With the demand we are witnessing, I think we’re going to increase the frequency to twice a day, thrice a day and even more,” said Ethiopian Airline’s chief executive, Tewolde GebreMariam, at a ceremony ahead of the maiden flight. On the plane, passengers received roses and champagne, and sang and danced in the aisles during the 60-minute flight. However, the mood changed when they landed in Asmara. Tears flowed freely as family members were reunited with loved-ones whom they had not seen or touched for 20 years. Among them was Ethiopian journalist Addisalem Hadgu (58) of the Ethiopian Broadcasting Corporation (EBC). 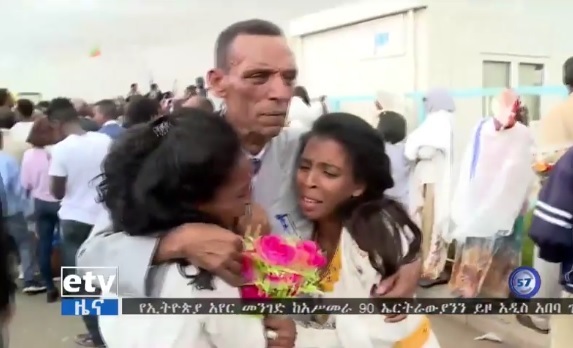 During the war his Eritrean wife took their two teenage daughters to Eritrea, and despite all his efforts over the next 18 years he had been unable to make contact with them. 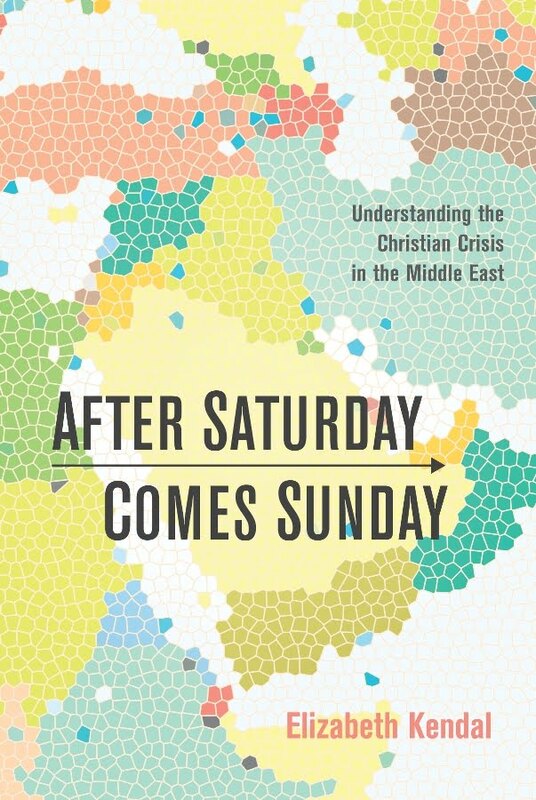 For Addisalem, the reunion with his now adult daughters was almost more than he could bear. Ninety Eritreans flew to Addis Ababa on the return trip. withdrawing Ethiopian troops from Eritrean territory. “Though it governed behind the fig leaf of a larger ruling coalition, the TPLF and the tiny ethnic minority it represents have wielded unlimited power in Ethiopia for the past two decades. “The party has used its power to obliterate civil society, the press, religious freedoms, and all forms of political opposition. “By early this year, the TPLF’s stranglehold on power had brought Ethiopia to the verge of collapse, as larger ethnic groups, led by the Oromo and Amhara, blocked roads into Addis Ababa in protest. To avert a showdown — which would have taken the form of a catastrophic food and fuel shortage in the capital — the ruling coalition’s government was forced to oust its prime minister, release thousands of political prisoners, and consent to the appointment of Abiy, an Oromo leader, as the new head of state. Abiy has proved more of a firebrand than expected and has been moving quickly to generate a political following and dismantle the TPLF’s grip on power. . .
“Abiy has even more reason than Isaias to fear the holdouts in the TPLF. They are the key impediments to political reform in Ethiopia, and since taking office, he has frantically sought to undo their hold on power. He diminished the military’s authority by lifting a repressive state of emergency, repealed laws that allowed the security forces to label dissidents as terrorists and arrest them, and fired a slew of senior security and intelligence officers, most of whom were Tigrayans. “His much-lauded decision to lift the government monopolies on several of Ethiopia’s key industries, including telecommunications and energy, was lauded as a free market advance — but it was also an important swipe at the TPLF’s bank accounts. TPLF leaders have profited from self-dealing by directing these monopolies to award lucrative government contracts to firms that they own or are run by their military cronies. “Abiy is working hard and fast to gain ground against the TPLF before its bickering leaders can organize a coherent response . . . Concerning the generals, Bruton notes that while PM Abiy has already started to “thin their ranks”, that “doesn’t make them disappear”. What's more, PM Abiy “can’t possibly afford to fire 95 percent of Ethiopia’s generals. To consolidate his power, he needs to fire the worst but co-opt the rest, and that process could take years.” Until then, Bruton warns, they will continue to foment trouble. As an example, she raises the case of Maj. Gen. Tekleberhan Woldearegay who, after being forced to resign from his powerful post as director of the notorious Information Network Security Agency (INSA), went on the radio and “appeared to call for a coup”. Describing himself as a representative of the military, he lambasted the government calling it “an enemy force” and “not of the people”. Further to this, nothing will or even could change inside Eritrea so long as Ethiopian troops remain on Eritrean soil. Bruton concludes: “Peace between Eritrea and Ethiopia is long overdue. But it’s important for policymakers to understand that the current rush to peace is a tactical matter. As long as both Abiy and Isaias remain existentially threatened by the TPLF, both will be quick to gloss over their differences. . .